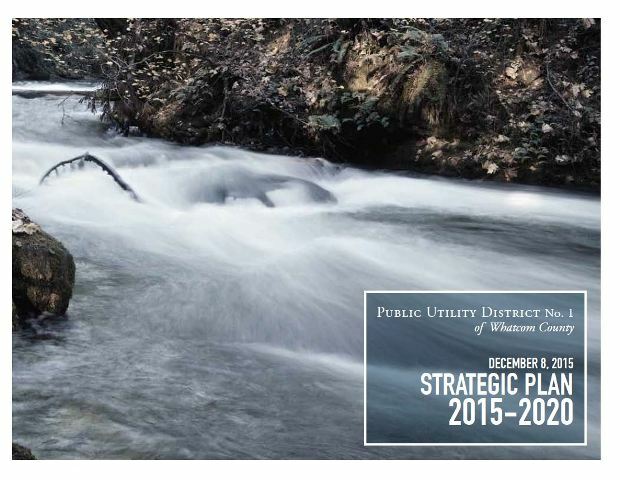 In 2015, the Commission engaged in the development of the first Strategic Plan, which was prepared following a series of public workshops with the District’s Commission and staff, meetings with several key stakeholders and the general public. 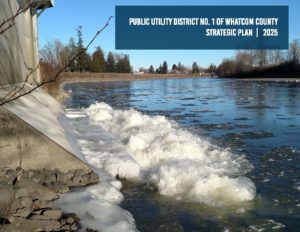 As part of the strategic planning process, the Commission agreed to complete a review of the plan, implementation progress and consider updating the plan each year. The first plan was approved in December 2015, under Resolution No. 700. 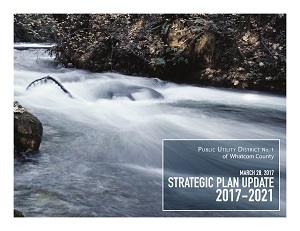 New challenges facing the PUD were identified in 2016, requiring an update to the Strategic Plan. A workshop held in November 2016 discussed the progress on the 2015 Strategic Plan’s goals and initiatives, and to evaluate new topics that have arisen. After completing that assessment, the Commission and staff updated the goals and strategies to address the challenges and opportunities facing the District in 2017 and beyond. This update provided the basis for the actions the PUD will take to best serve our community for the next six years, from 2017 through 2021. The second update to the plan was approved in March 28, 2017. To prepare for the 2018 update, two special meetings/workshops were held. Findings and additional input from staff and the public provided the opportunity and efforts to integrate this information was accomplished and our Strategic Plan 2025 was adopted on December 18, 2018. At its core, this Strategic Plan defines why the PUD undertakes its programs, projects and initiatives and further provides the framework for creating other critical governance and management tools that define WHAT the PUD will do and HOW it will do it. A thorough process began in early 2015 that included a series a public workshops with Commissioners and staff, input from customers, elected officials, and meetings with several key stakeholders, and the general public. A strategic plan is a valuable tool in guiding the PUD, its Commission and staff into the near and mid-term future. It is a useful mechanism for communicating the PUD’s intentions and priorities to both internal and external audiences while assuring organizational consensus and commitment to the PUD’s priorities. The strategic plan will be used to develop and adopt the PUD’s operating and capital budgets for 2017 and beyond. One of several keystone documents, it will provide the structural framework for the PUD’s work, guided by state statutes and represent best management practices that guide the PUD in the operating and managing of the District. The plan is our road map for projects and services through the year 2025.